Like a lunar module checking its landing coordinates one last time, the cylindrical tank with six metal feet hovered silently over the Tritium Building. The event was significant. Part of ITER's water detritiation plant system, the tank had the honour of being the first component to be installed in the Tokamak Complex. A contribution from Europe, the 5.4-tonne, 20-cubic-metre holding tank is part of a set of four that will be installed in the coming days, along with two larger tanks. 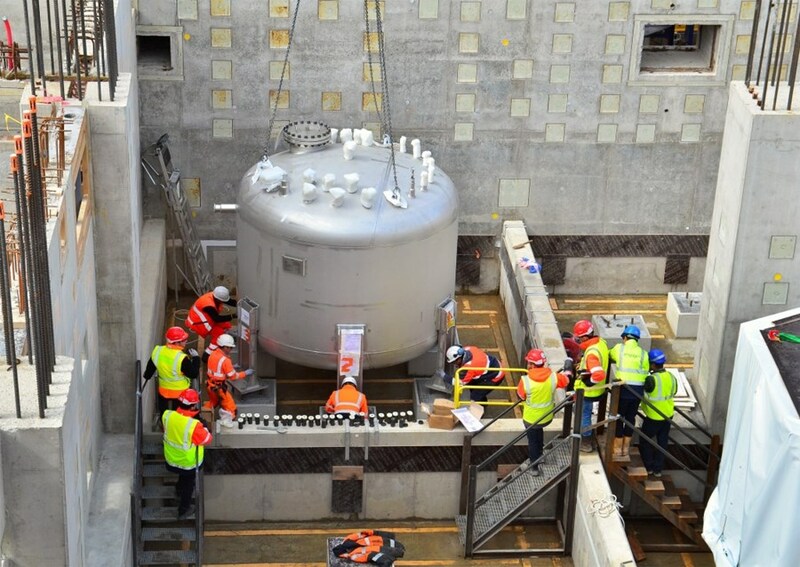 Both a "captive component" (once installed, it cannot be removed) and a Protection Important Component (PIC), the holding tank that was lowered into the Tritium Building on the morning of Tuesday 29 March is part of a set of four that will play a key part in the detritiation process of the ITER installation. In the Tokamak Building, tritium needs to be removed from the atmosphere of different "spaces" such as the vacuum vessel, the port cells, the neutral beam injector, etc. Both a ''captive component'' and a Protection Important Component (PIC), the holding tank will play a key part in the detritiation process of the Tokamak Complex. Tritiated air is extracted and passed through a shower (the "scrubber columns") to become tritiated water, which is stored in holding tanks. 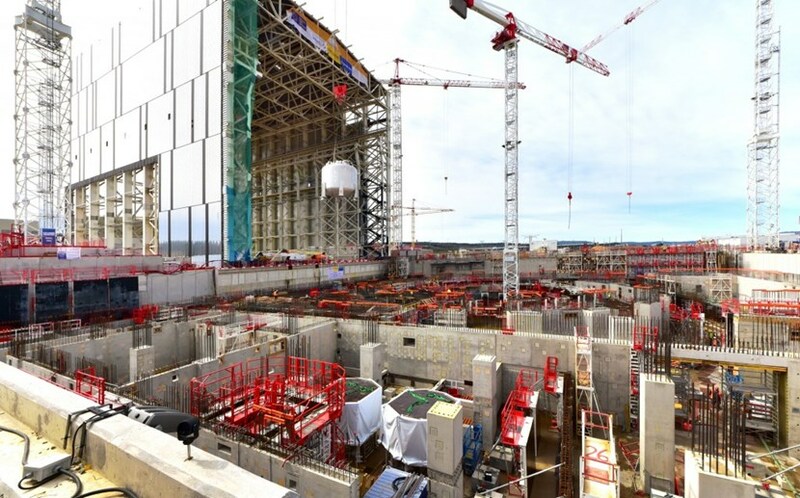 Following storage, the tritiated water is submitted to electrolysis to recuperate the highly valuable tritium in the ITER fuel cycle. Three years ago the design of the tanks was launched and progressed in parallel with the design of the finer details of the Tritium Building—such as defining the precise position of the anchors for the tanks. As interfaces perfectly locked into place, Tuesday's operation marked an important and symbolic moment in the progress of construction.